Preservation Tree is dedicated to providing progressive and sustainable solutions to tree care and land management issues. Our team of certified arborists is highly skilled in the art and science of tree care. From the care of a single specimen to the management of forest lots we have programs to fit any need. Located in West Chester, PA, we provide tree service to Chester County in Southeastern Pennsylvania and Northern Delaware. 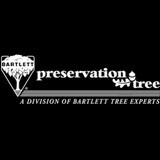 Preservation Tree is proud to be a division of Bartlett Tree Experts. With this change, we now have the backing of an international tree care company and tree research laboratory to help continue providing excellent tree and shrub care. Please continue to contact us as usual by calling 610-235-6691 or using the form on our website to request a free consultation. Tree trimming, pruning, and removal services. 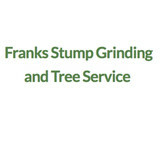 Franks Stump Grinding and Tree Service is a Doylestown, PA based tree company that is known for offering quality and dependable services at affordable rates. We are renowned for our dedication, professionalism, and the dependability of our friendly and skilled tree care specialists. No other contractor can provide you with the same excellent results, which is why we are the right choice for your needs. If you are looking for a professional that can handle tree and stump grinding projects of any size and scope, we are the company for you. Do not hesitate to call our office. With us, you will be able to rely on a highly professional and experienced company! We have the proper knowledge and skills, as well as a high level of dedication to our profession and the Doylestown, PA community. We are aware that your trees are very important to you, and our expert team will go the extra mile to provide you with the quality tree care service you need and deserve. When working with us, you can expect nothing but quality service and affordable solutions tailored to fit your needs and budget. Call Franks Stump Grinding and Tree Service now at (215) 266-3212! You will be glad you did! We will be happy to provide you with the information on our tree care and stump grinding services you need as well as to assist you in scheduling a service appointment at a time convenient for you! Maintaining your trees, shrubs, and bushes not only keeps your property looking great, but it can also keep your property safe. Dead limbs on your dogwood, elder, aspen, or sassafras trees can be dangerous. And unkempt bushes and shrubs cannot perform as well as they should, providing shade and wind protection, and also adding soil control. 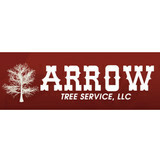 Get the most out of your property with proper maintenance from Arrow Tree Service LLC. Treemendous Tree Care Inc prides itself on being the go-to choice for clients looking for Tree Removal, Tree Trimming and Stump Grinding services. What makes us different- Education, Planning, and Safety. Boyertown School District, Ursinus College, and Temple University have used our services to create a safe and enjoyable place for their students. Let us help with your property today. Take a look around our website and if you have any questions regarding tree and shrub care call for a free estimate from one of our ISA Certified Arborist. Notable Client List 1000's of Residential Customers Boyertown School District Wissahickon School District Ursinus College Comfort Inns Guidi Homes Inc. Temple University Reading Hospital Our service is built around the care of your trees at a reasonable price to promote a safe and beautiful property. We are a fully insured, local, and independent tree service and boulder-scaping company serving primarily Bucks, Montgomery, and Southern Lehigh Counties. 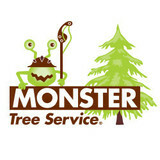 Not only do we offer free estimates but we also provide consultations on tree management. Each situation is unique and will be assessed with your safety and security at heart. We believe in positive customer relationships which is why you can always rely on us for an honest, professional opinion coming not only from experience, but also from a profound respect for the natural world and all its living things. We are a fully insured South Jersey arborist & tree service company, providing tree removal, stump grinding/stump removal, tree trimming/pruning, tree care, tree planting, mulching, hardscaping, fall & spring cleanup, firewood delivery, and wood chipper services. We also provide snow removal for Commercial customers. Maple Hill Tree Service was started more than 15 years ago with the goal of providing excellent tree service at affordable rates. Owner Operator and Certified Arborist, Rowland Orr, has been climbing for nearly twenty years and has competed in the local ISA tree climbing competition 6 times. Still the primary climber, Rowland Orr is a great advocate for proper structural pruning with an artistic eye. "Proper structural pruning should be artful pruning". Located in Pennington NJ, Barry Hamilton has specialized in tree stump and root grinding for 25 years providing service to both commercial and residential clients. Able to access stumps in hard to reach locations such as gardens, walkways, and tight spaces where larger tow-behind machines cannot access. Call Barry Hamilton for affordable stump and root removal. American Treescapes is an owner-operated company specializing in large tree installation, relocation and sales. American Treescapes serves Pennsylvania, New Jersey, New York, Delaware and Maryland. Founded in 2002, Justin Tree Services & General Construction has always worked to earn the satisfaction of our customers. As members of the TCIA, for more than 10 years we have been dedicated to meeting our client's needs. Our clients always come first and we have our top professionals at your service. We are professional, affordable, and reliable. No job is ever too big or small. At Justin Tree Services & General Construction, we care for our trees and always try to save trees whenever possible. Also, we don't ever recommend any service that you don't need. Whether you contact us for tree pruning, stump removal, or any of our other services, you'll always get quality results from us. Get help whenever you need it, please call 609-731-9882. Vineland Tree service is is professional tree care company servicing Vineland,NJ and all surrounding areas in South Jersey. 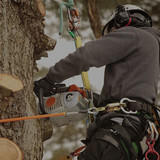 We are New Jersey's top tree removal specialist. We offer services such as tree removal, Pruning, trimming, emergency tree service and stump removal. Boot Road Tree Service prides itself in offering exceptional work for a reasonable price. We have a core set of values that we bring to ever job we do. AFFORDABLE – We offer affordable pricing and quality work. We get the job done right the first time and in a timely manner. Contact us today for a free estimate. EXPERIENCED – We listen to our customers and have the experience to deliver the results you desire. No matter how large or small the job, we’ll leave you with a clean and attractive environment that you will enjoy for years to come. PROFESSIONAL – We take pride in every job we do. Our work is fully insured for your peace of mind. To learn more about any of our top-notch professional services or to schedule an appointment for a free estimate on your tree-service or clearing needs, contact us today! Whether you need a tree trimmed and pruned of debris from a storm removed, always count on Todd's Tree Services Inc. Don't let your trees overwhelm your property. Instead, let them do what they're meant to do, which provides shade in sunny areas and beauty for your overall landscape. When you let them grow too much, they overshadow your land and that's where we come in.